Have you already figured it out? The Brownist English Dissenters are the group we call the Pilgrims. But, did you know the Pilgrims’ first stop was not Plymouth Colony in New England? Actually, the Pilgrims first fled to the city of Leiden in the Netherlands. In Leiden, the Pilgrims enjoyed a religious tolerance almost unheard of in that day and age. Pilgrim leaders, William Bradford and Edward Winslow both wrote glowingly of their experience. In Leiden, God had allowed them, in Bradford’s estimation, “to come as near the primitive pattern of the first churches as any other church of these later times.” God had blessed them with “much peace and liberty,” Winslow echoed. Leiden was a city of 100,000 inhabitants. However, the success of the congregation in Leiden was mixed. Leiden was a thriving industrial center and many members were well able to support themselves working at Leiden University or in the textile, printing and brewing trades. Others were less able to bring in sufficient income. Their rural backgrounds and the language barrier hampered them. Eventually, the Pilgrims became concerned with losing their cultural identity. It was difficult to remain “English” in Holland during the early 1600s. It’s fair to say that the Pilgrims left England to find religious freedom, but that wasn’t the primary motive that propelled them to North America. If a longing for religious freedom had compelled them, they probably never would have left the Netherlands. The Pilgrims cherished the freedom of conscience they enjoyed in Leiden, but they found it a hard place to maintain their English identity and an even harder place to make a living. In America, they hoped to live by themselves, enjoy the same degree of religious liberty and earn a “better and easier” living. And, did you know the Mayflower was not the intended ship? 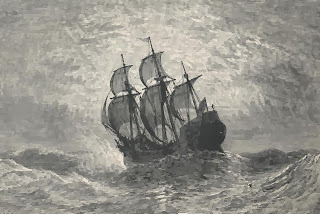 In July of 1620, the Speedwell, at sixty tons (originally named Swiftsure, built in 1577 and was part in the English fleet that defeated the Spanish Armada) departed the Netherlands with the Leiden Pilgrims. Reaching Southampton, Hampshire, the Speedwell met with Mayflower and some additional colonists. 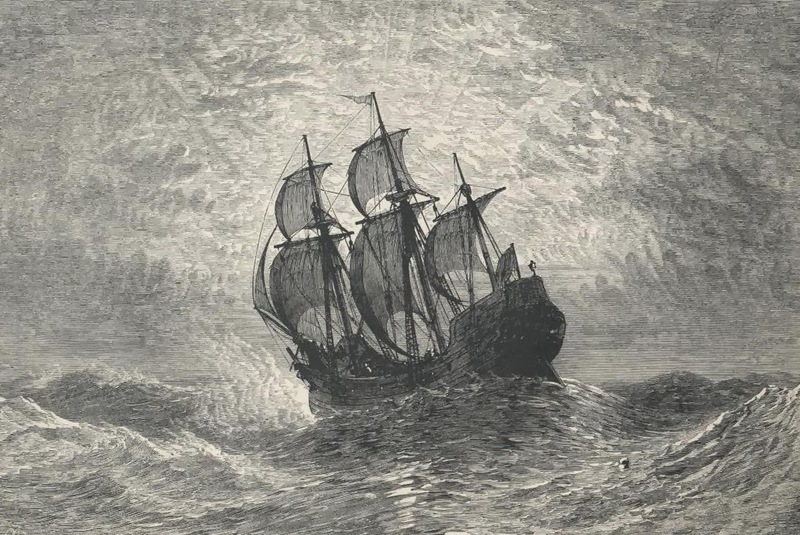 With final arrangements made, the two vessels set out on August 15, 1620. Soon thereafter, the Speedwell crew reported that their ship was taking on water, so both were diverted to Dartmouth, Devon. There the Speedwell was inspected for leaks and sealed, but a second attempt to depart also failed, bringing them only so far as Plymouth, Devon. It was decided that Speedwell was untrustworthy, and it was sold. The ship's master and some of the crew transferred to the Mayflower for the trip. While observing that the Speedwell seemed "overmasted", thus putting a strain on the hull, William Bradford attributed her leaking to crewmembers that had deliberately caused it, allowing them to abandon their yearlong commitments. Passenger Robert Cushman wrote that a loose board caused the leaking. So, this week my point in all this is that the story behind what we’re taught is often interesting! Enjoy your Thanksgiving! And, visit me on Facebook at http://www.FB.com/ReliefWithJulie. Even if you're not on Facebook yourself, you can still enjoy my posts.